Pardon the Punctuation...If you're into single vineyard rockin cabs, make your way down to Nickel & Nickel winery when in Napa. 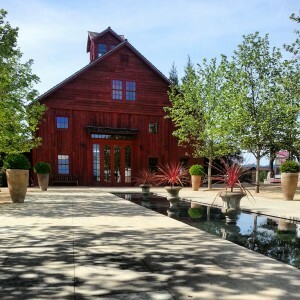 The sister winery of Far Niente, N & N make more of a California "in your face" style of cabernet as opposed to Far Niente's more european style red wine. Before you go please know that you need to call ahead and make an appointment. Give yourself some time as they can get fully booked quickly. Lets get down to the tasting. Once I check in I was greeted by our guide Kevin who was very knowledgable and took great care of us. Here is what we tasted along with some notes. 2011 Truchard Vineyard Chardonnay Carneros, Napa Valley: This is a nice departure from the usual "Cougar Juice" served in the valley. Hints of pear with tropical notes and a nice finish. 2009 C.C. Ranch Cabernet Rutherford, Napa Valley: Dark Cherry, fruit forward, jammy, and not my favorite when I first tasted it. After about 15 min of being poured it grew on me and softened out nicely. Threw me off but I loved it at the end after it opened up. Hold on to this one for a few years before cracking it open. 2009 State Ranch Cabernet Yountville, Napa Valley: By far my fav wine of the tasting. Hints of blackberry with an elegant silky finish. 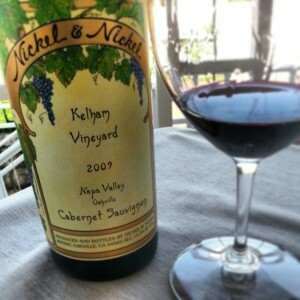 2009 Kelham Vineyard Oakville, Napa Valley: Strong hints of tobacco with bright tannins. I dig this wine but would cellar for about 5 years to maximize it's potential. Check them out if in town and you won't be disappointed. The lovely tasting room is just icing on the cake of the wonderful wine drinking experience you'll have.